Of the those four contenders Samuel Peter has come closest to ousting Wladimir thus far, dropping him twice before falling to a passive points defeat which served to frustrate his followers and at least partially restore faith in Wladimir’s substance as the heavyweight king. Any observer could see Peter’s limitations though; ponderous, predictable and without an Aerobics video to his name. His place among the wannabees waned, up popped Povetkin, the mop-haired pug with the thudding left hook and crouching, crash-bang style. Adventurously matched, he moved swiftly onto the radar of the Internet message boards – suddenly the fresh faced Russian, a decorated Amateur with a host of wins over current Olympic champion Roberto Cammarelle. would be the one to depose the Ukrainian doctors. Injury intervened and postponed his challenge as mandatory to Wladimir, a fight he doesn’t appear quite seasoned enough or hit hard enough to win but does look sufficiently rugged and dogged to ask as yet unposed questions of the champion’s true ability. With Povetkin in recess, up jumped David Haye to fill the advertised vacancy; ‘young puncher required’, battering Monte Barrett and Tomasz Bonin either side of Cruiserweight curates egg Enzo Maccarinelli. A chase up an elevator later, and the ambitious young Brit looks likely to be the next to get the chance to unseat Wladimir, having first been tentatively set to fight Vitali. Whether he’s smashed to the canvas or not, Haye deserves praise for his “lets find out attitude”. And finally, big Hispanic dumpling Cristobal Arreola who beat Travis Walker and carries the hopes, though not expectations, of the American fight fraternity into a clash with giant veteran Jameel McCline in a few weeks time. Peter is no longer a prospect, having had a pop at both brothers already – the later a humbling at the returning Vitali’s knee – and his journey to the heavyweight scrap-yard, which already provides gentle grazing for the likes of Hasim Rahman, James Toney, Calvin Brock, Dominic Guinn, Tony Thompson, Monte Barrett et al, is quicker than most. Today’s announcement that he weights a career high 265 pounds for his make-or break clash with Fast Eddie Chambers this weekend suggests he’s been hitting the refrigerator rather than the road and Eddie Chambers – post rounds one, two and three, becomes a strong favourite. Povetkin returns from injury with a fight against American Jason Estrada, a low-profile heavyweight with some good second tier wins over solid gatekeepers, next weekend in Dusseldorf while on the 11th April Chris Arreola tackles Jameel McCline, a fight in which I have an inclination for the upset – though Arreola is adamant he’s much more focused and prepared than he was for his last fight with Walker and McCline always finds a way to lose the big ones. 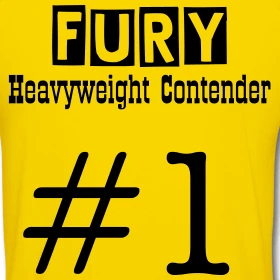 Regardless of the results, the heavyweight division may establish a fully credentialed contender in April and fully clarify the top 10 big-men beneath the Klitschko’s, Valuev and Chagaev.